I love being a dentist, and using my skills and knowledge to help the wonderful patients who trust me. Every day I am presented with different challenges and new ways to improve. My patients enrich my life, and I always enjoy meeting new friends. My staff and I work together to provide each visitor with the highest quality dental care and a positive, relaxing experience. Before practicing dentistry, I attained my Bachelor of Science in Biology with a minor in Chemistry at the State University of West Georgia. I then attended the Medical College of Georgia, where I earned my Doctorate of Dental Medicine. As part of my continuing education, I am currently enrolled in the Medical College of Georgia Advanced Implant placement curriculum. Implants allow for more comprehensive patient care, and my patients can receive implants in our office without having to travel to see another specialist. I am also an active member of the American Dental Association, Georgia Dental Association, and the Hinman Dental Society. I see my profession as a lifelong learning opportunity, and I know that my continuing education ensures the highest quality treatments for my patients. I have always wanted to work in the medical field, helping the people in my community live healthier, happier lives. 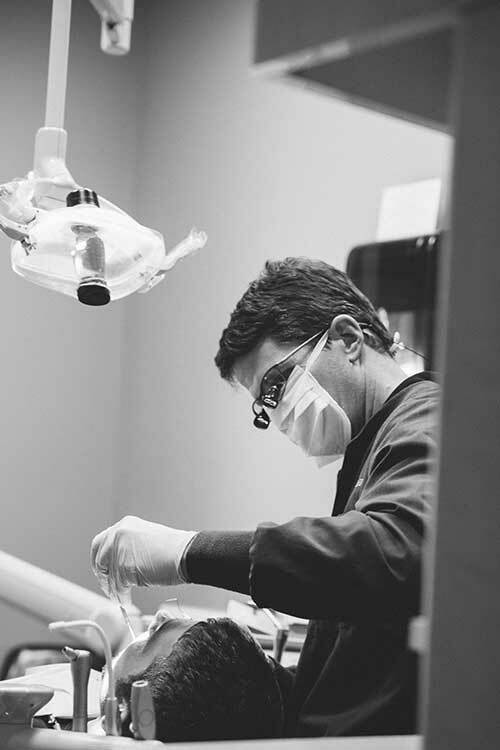 As a dentist, I have the opportunity to change the lives of my patients for the better, and teach them how to take great care of their teeth so their beautiful smiles last a lifetime. I have been a dentist since 2001, and have met many wonderful people through my practice. I get the satisfaction of making my patients’ lives more comfortable, and also love seeing how relieved they are that coming to see the dentist really wasn’t a bad thing. My patients enjoy coming to our office, and seeing their smiles is my greatest reward. I grew up in Carrollton, and have lived in Cleveland since 2001. My wife, Elizabeth, and I have four children named Ross, Justin, Will and Ben. We also have three dogs named Soloman, Berrie and Snickers. When I come home, I love biking, running, swimming, and, of course, spending time with my family. 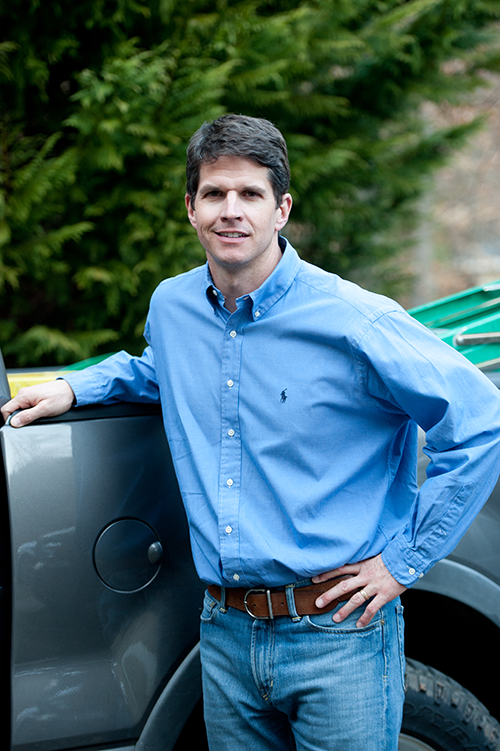 I am also active in our community, and have been on the Chamber of Commerce since 2001. I am an active member of Helen First Baptist Church. My wife and I are also very involved with the hemophilia community as well, because our two youngest children have hemophilia. 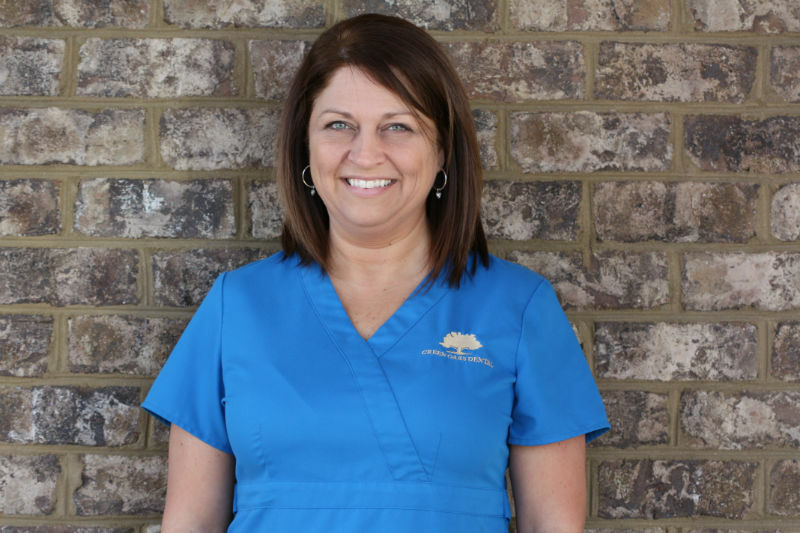 Tonya is a graduate of White County High School and Lanier Technical College’s dental assistant program, where she graduated as the Most Outstanding Student. 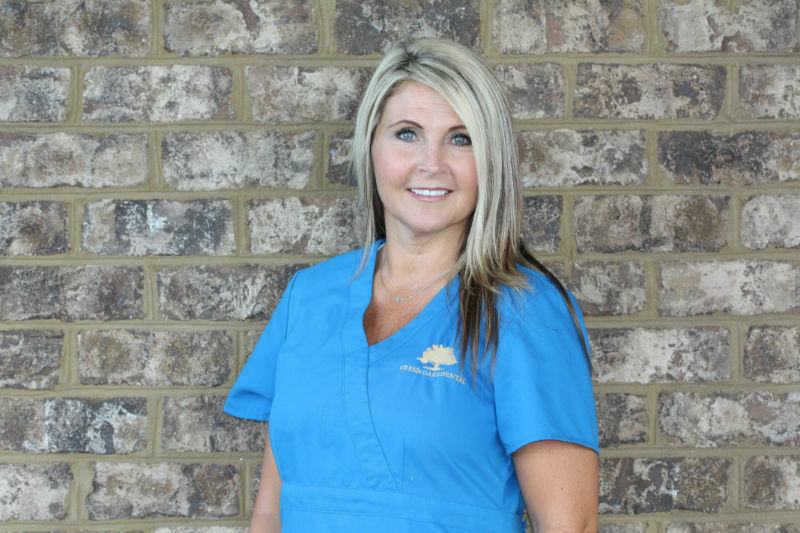 She has been working as a certified dental assistant for over 20 years, and the past 10 years of being a dental laboratory technician have given her a combined knowledge for success. She attends multiple certification classes in cosmetic and implant dentistry to keep up on all the advancements in the dental field. Tonya is the mother of two daughters and volunteers as a cheerleading coach in the White County community. For fun and relaxation, you can find Tonya cooking out with family and friends. 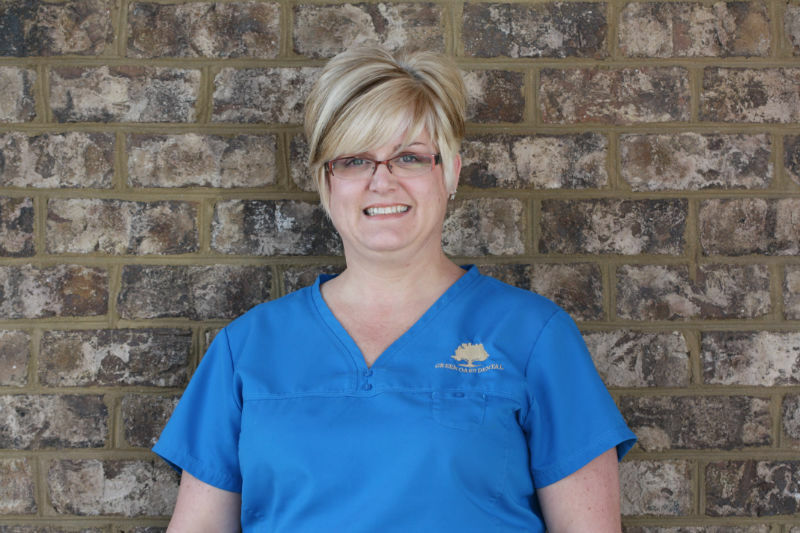 Chris joined our practice in 2007 as a dental assistant. She had been working in the dental field for many years at a dental office in Marco Island, FL, but moving here has brought new friends and co-workers into her life, and she has enjoyed getting to know all our wonderful patients. Outside the office, Chris enjoys making pottery, gardening, and spending time with her energetic pair of Jack Russell dogs. Chris’ daughter, Jessi, is stationed in Tucson, AZ with the US Air Force, but she loves to come and visit mom and explore the mountains whenever possible. Misty is a graduate of Gainesville State College and Lanier Technical College. 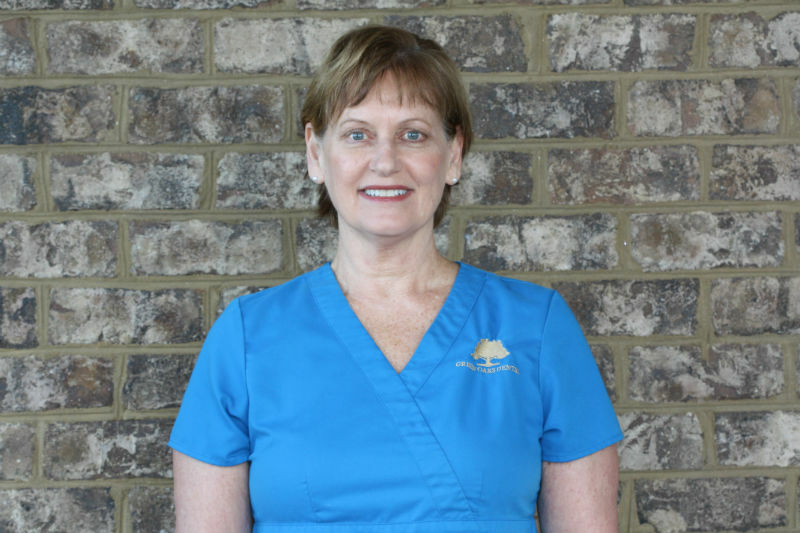 She has been a Dental Hygienist since 1994. She is married to Ramone and they have three children, Hannah, Bailey, and Landon. Misty enjoys spending time with her family and friends and being at the the beach. Shannon was born in Lithia, FL, and moved to Cleveland in 1998. She is married to Billy, and they have four handsome boys. Nicholas, Canaan, Luke and Gavin lead to no dull moments in their home. 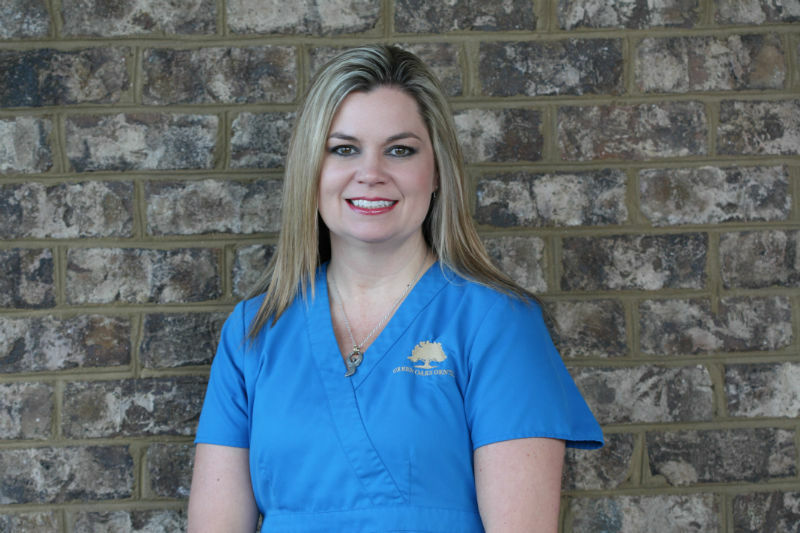 Shannon is currently our Front Office Coordinator, she also has over 10 years of Expanded Duties Dental Asssisting experience. She enjoys spending time with her family, baking, crafts and football. 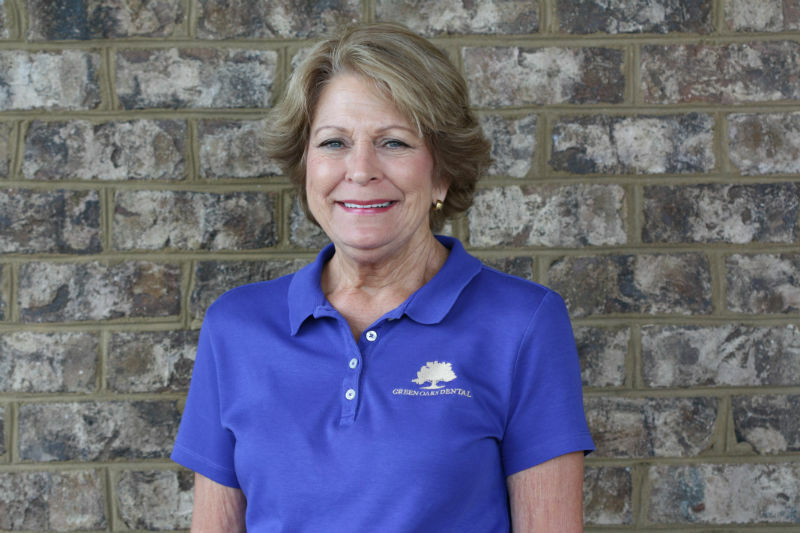 Mary Ellen has been a part of Green Oaks Dental since 2007 and has over 35 years of accounting experience. She is the Accounting Manager for the practice. Mary Ellen has two children and six grandsons. Her favorite past time is horseback riding, hiking, and spending quality time with family. Kris is a graduate of Habersham Central High School and Lanier Tech College. She has over 20 years experience in the dental field. She is engaged to Mark and has two wonderful children. She currently lives in Cleveland. She loves spending time with her family, vacationing to the beach and get aways to the Great Smokey Mountains.